As a defender, Laurie started his career with Raith Rovers, making his first team debut in December 1998. He spent most of his playing career at Starks Park, in three spells totalling 14 years. During that time he had short spells with St Mirren and Stirling Albion, but always returned to Kirkcaldy, helping them win promotion to the Championship in 2003 and 2009. In 2012, he took up a player/coach position at Starks Park under manager John McGlynn, continuing in a first team and youth development coaching role under Grant Murray and Ray McKinnon. 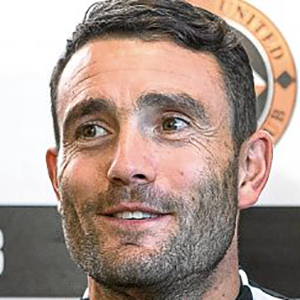 When McKinnon left Starks Park to take the managers position at Tannadice in May 2016, Laurie followed him to be Assistant Manager with United. In October 2017, Ellis was made the caretaker manager after the sacking of McKinnon and took charge for two matches, winning both games. Ellis stayed on as assistant manager after the appointment of Csaba László in November 2017.